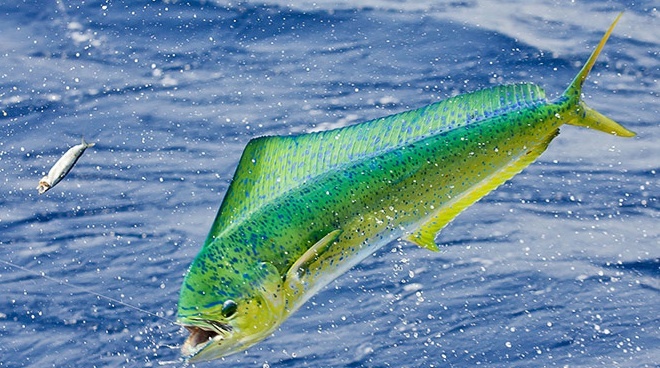 Increasingly, Seychelles is becoming a Mecca for sports fishermen the world over in search of a last frontier where one of the finest mixed-bag catches can be found:wahoo, sailfish, barracuda, trevally, dorado, tuna, swordfish, shortbill spearfish, amberjack, rainbow runner and such sought-after trophies as the mighty blue, black and striped marlin, all of which combine to propose the game fishing experience of a lifetime. The traditional fishing method of bottom-fishing produces an equally impressive catch, rewarding you with some of the finest tasting fish on the planet: groupers weighing in excess of 30kg as well as massive trevally, kingfish, greater barracuda, snapper, coral tout, sea bass, emperor and bream. Similarly, the islands of Frégate to the east, North Island and Mahé’s lofty neighbor, Silhouette, all possess fertile fishing grounds and offer the opportunity to catch a great range of fish.